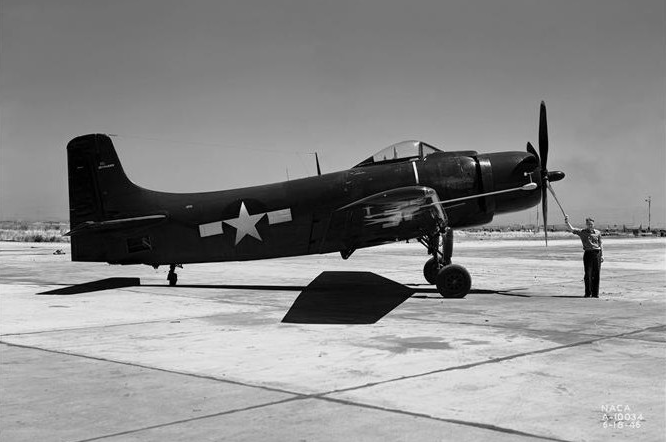 18 March 1945: At the Naval Airplane Factory, El Segundo, California (at the southeast corner of Los Angeles Airport, now best known as LAX), Douglas Aircraft Company Director of Flight Test LaVerne Ward (“Brownie”) Browne took the prototype XBT2D-1 Dauntless II, Bu. No. 9085, for its first flight. 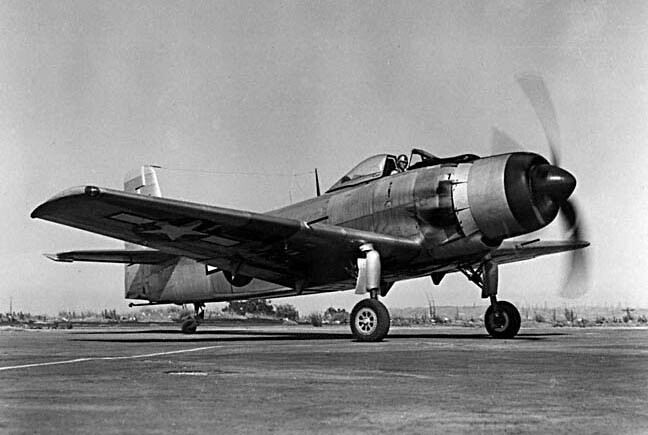 The XBT2D-1 would be ordered into production as the Douglas AD-1 Skyraider. Designed by Douglas’ Chief Engineer, Edward Henry Heinemann, the XBT2D-1 was a single-place, single-engine attack bomber capable of operation from the U.S. Navy’s aircraft carriers. The prototype was 39 feet, 5 inches (12.014 meters) long with a wingspan of 50 feet, ¼ inch (15.246 meters) and overall height of 15 feet, 7½ inches (4.763 meters). 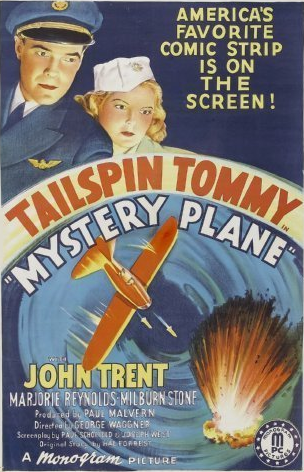 The airplane had an empty weight of 10,093 pounds (4,578 kilograms) and maximum weight of 17,500 pounds (7,938 kilograms). The first four XBT2D-1 prototypes were powered by an air-cooled, supercharged, direct-fuel-injected 3,347.662-cubic-inch-displacement (54.858 liter) Wright Aeronautical Division R3350-8 (Cyclone 18 779C18BB1) twin-row 18-cylinder radial engine rated at 2,100 horsepower at 2,400 r.p.m., and 2,400 horsepower at 2,600 r.p.m., for takeoff. The next 20 airplanes built utilized the R3350-24W (Cyclone 18 825C18BD1) which had a takeoff power rating of 2,500 horsepower at 2,900 r.p.m. The XBT2D-1 had a maximum speed of 375 miles per hour (604 kilometers per hour) at 13,600 feet (4,145 meters) and normal cruise speed of 164 miles per hour (264 kilometers per hour). 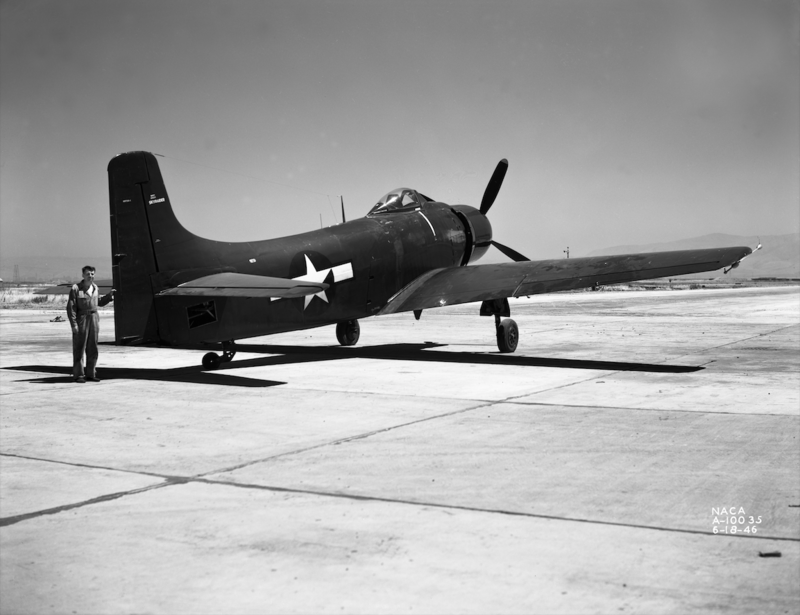 The first XBT2D-1, Bu. No. 9085, was sent to NAS Patuxent River, Maryland, for further testing. The second, 9086, went to NACA Ames at Moffet Field, California, where it underwent testing from 11 March 1946 to 4 September 1947. 3,180 Skyraiders in 11 variants were built at the Douglas Aircraft Company’s El Segundo, California, plant from 1945 to 1957. 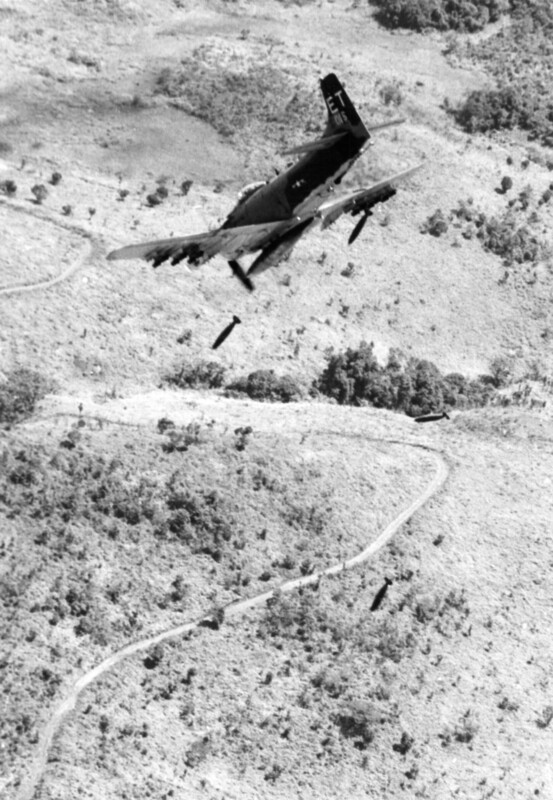 The attack bomber was widely used during the Korean War and the Vietnam War. It was utilized for many purposes but is best known for its close support missions during combat rescue operations. 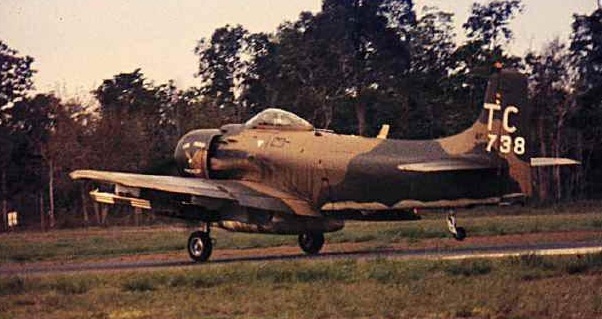 After 1962, the AD-series aircraft still in service were redesignated A-1E through A-1J. 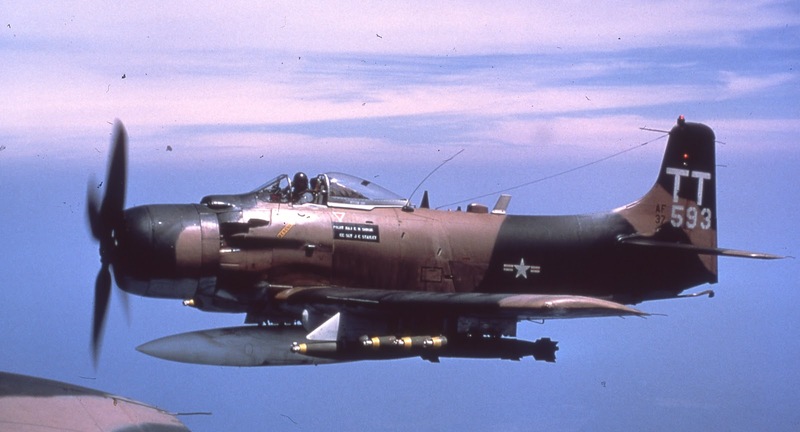 The most numerous Skyraider variant was the AD-6 (A-1H), of which 713 were produced by Douglas. The AD-6 was 38 feet, 10 inches (11.836 meters) long with a wingspan of 50 feet, 9 inches (15.469 meters) and overall height of 15 feet, 8¼ inches (4.782 meters). Its empty weight was 11,968 pounds (5,429 kilograms) and gross weight was 18,106 pounds (8,213 kilograms). The maximum takeoff weight (MTOW) for the AD-6 was 25,000 pounds (11,340 kilograms). The Douglas AD-6 was powered by an air-cooled, supercharged, direct-fuel-injected, 3,347.662-cubic-inch-displacement (54.858 liter), Wright Aeronautical Division R-3350-26WA (Cyclone 18 836C18CA1) twin-row 18-cylinder radial engine, with water/alcohol injection. This engine has a compression ratio of 6.71:1. The R-3350-26W has a Normal Power rating of 2,300 horsepower at 2,600 r.p.m., and a Takeoff/Military Power rating of 2,700 horsepower at 2,900 r.p.m., using 115/145 aviation gasoline. The engine drives a four-bladed Aeroproducts constant-speed propeller with a diameter of 13 feet, 6 inch (4.115 meters) through a 0.4375:1 gear reduction. The engine is 4 feet, 7.62 inches (1.413 meters) in diameter and 6 feet, 6.81 inches (2.002 meters) long. It weighs 2,848 pounds (1,292 kilograms), dry. The AD-6/A-1H Skyraider had a cruise speed of 198 miles per hour (319 kilometers per hour) and a maximum speed of 322 miles per hour (518 kilometers per hour). The ceiling was 29,400 feet (8,961 meters) and its combat radius carrying 2,000 pounds (907 kilograms) of ordnance was 275 miles (443 kilometers). 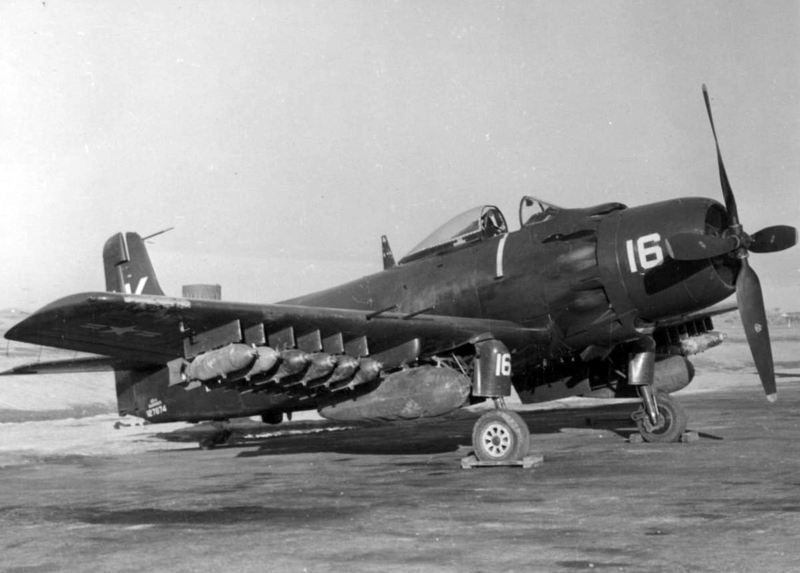 The AD-6 Skyraider was armed with four 20mm AN-M2 autocannons, with two in each wing, and 200 rounds of ammunition per gun. The guns fired explosive projectiles with a muzzle velocity of 2,850 feet per second (869 meters per second), and had a rate of fire of 600–700 rounds per minute. The AD-6 could carry 8,000 pounds (3,629 kilograms) of bombs, rockets, gun pods and external fuel tanks from the 15 hard points and pylons under the wings and fuselage. 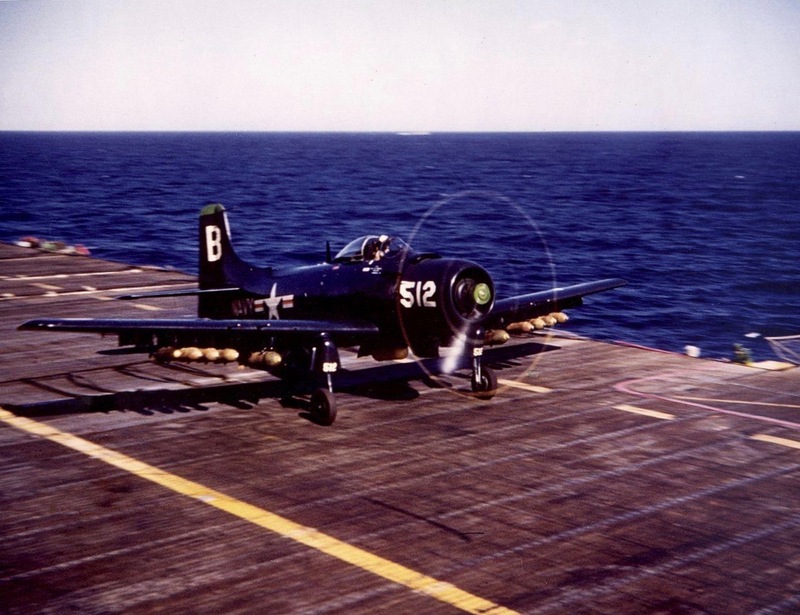 Many United States Navy and Marine Corps Skyraiders were transferred to the U.S. Air Force. The Air Force retained the Navy’s Bureau of Aeronautics serial numbers (“Bu. No.”) but added two digits corresponding to the fiscal year in which each airplane was originally contracted. This resulted in serial numbers similar, though longer, than customary in the Air Force and Army numbering system. 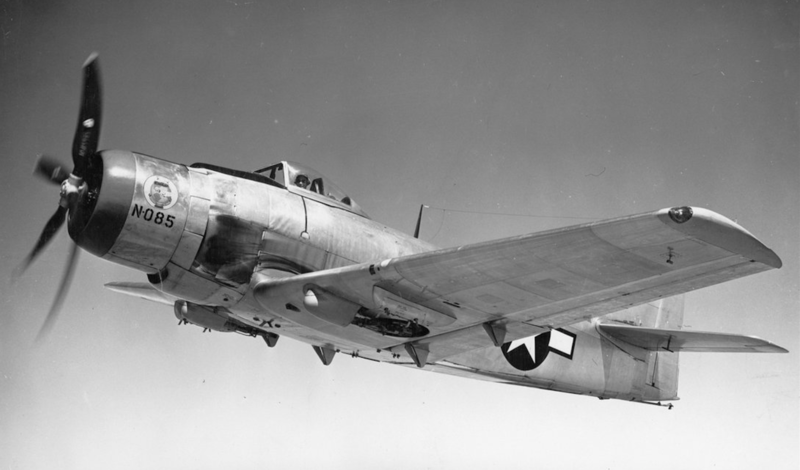 The oldest Skyraider in existence is XBT2D-1 Bu. No. 9102. Formerly on display at NAS Oceana, Virginia Beach, Virginia, the airplane was transferred to The Intrepid Sea, Air & Space Museum in New York City for restoration and preservation. LaVerne Ward Browne was born at Orange, California, 9 December 1906. He was the third child of Edwin J. Brown, a farm worker, and Phebe Alice Proctor Brown. He studied law at the University of Southern California (USC). In 1928, Brown learned to fly at the Hancock College of Aeronautics, Santa Maria, California. He then worked as a pilot for Transcontinental and Western Airways, flying the Douglas DC-2. 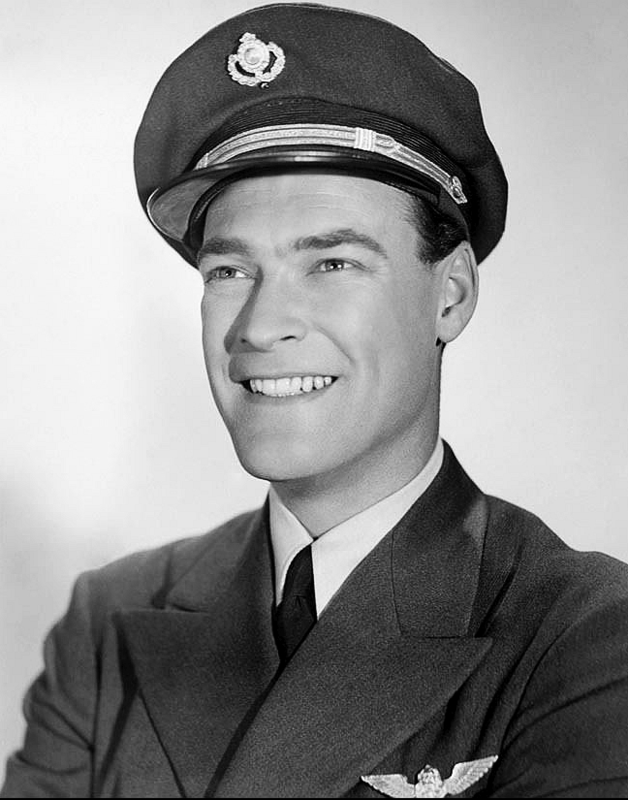 He was also commissioned as a second lieutenant in the United States Army Air Corps Reserve. Browne married Miss Dorothy Leonore Bach at Los Angeles, California, 28 January 1926. They had a daughter, Barbara May Browne, born 6 December 1926, but later divorced. One 12 June 1933, Browne married Harriette Fitzgerald Dodson at Norfolk, Virginia. 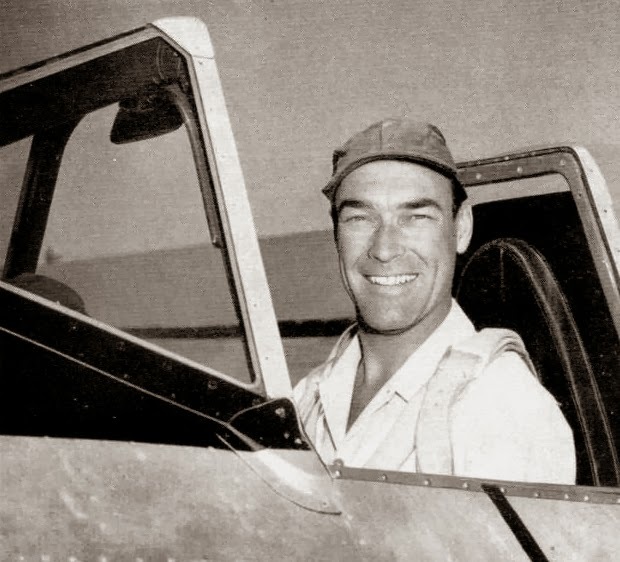 Browne worked for Douglas Aircraft Company from 1942 to 1957. He died 12 May 1966 at Palos Verdes, California, at the age of 59 years.